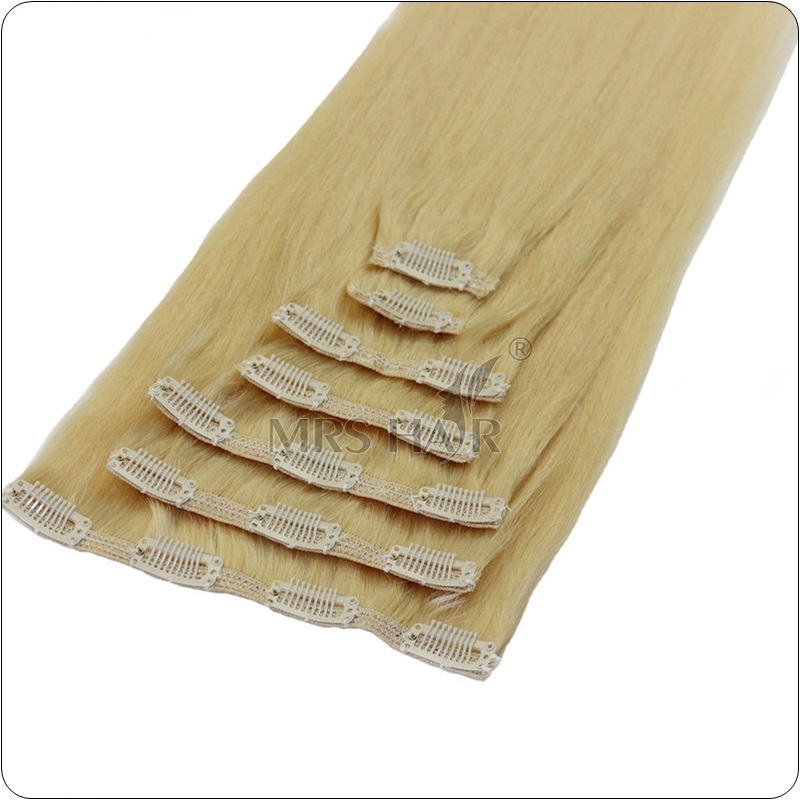 Product Type: Clip hair extension . Weight: 100g , 110g, 113g, 120g or according to to made . Contains: 6pcs/set , 7pcs/set, 8pcs/set , 9pcs/set, 10pcs/set . Minimum order Quantity: 30 packs. NO 2 : Quad Wefted Clip In sets . What is a quad weft? ...Rather than an extra four 8 inch wefts. 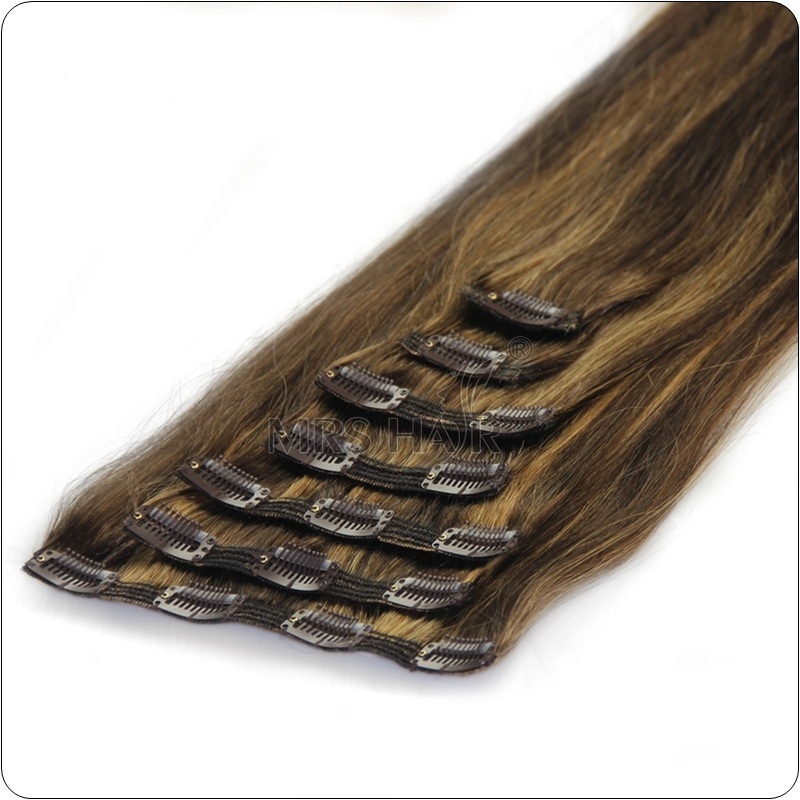 We has combined them onto 1 quad weft, there are 4 strips which are 8 inches wide sewn onto a special flat mesh ,so you only have 3 clips holding them instead of 12 clips, this means more hair on your head and less clips! Also this strip is known as a blending strip and helps blend your own hairs shorter layers into the extensions longer layers.